HY40OP is 1 3.5 cm length, 10 cm height which is compliance with PCI 2. 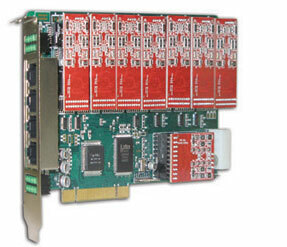 2 standard interface cards. The card has 4 slots. Every slot can be inserted with single FXO / FXS module which can be used to connect 1-4 analog telephone channels.